Icelandair will launch new seasonal service between Keflavik and Montréal’s Pierre Trudeau International Airport on May 19, 2016. 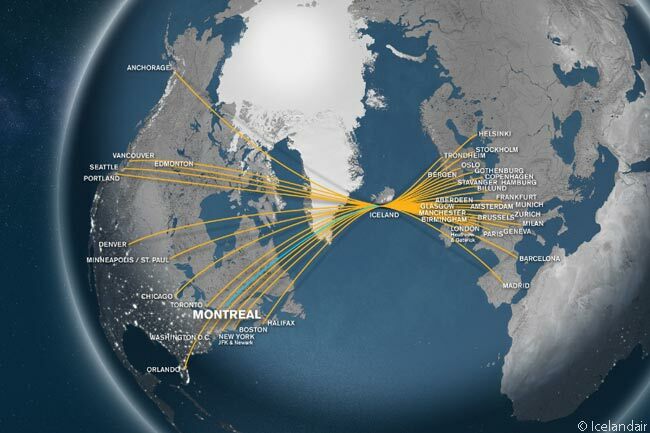 Montréal will be will Icelandair’s first gateway in the province of Québec and its 16th in North America, though the carrier will only be serving 15 of them in 2016: Icelandair dropped Baltimore Washington International Airport as a gateway some years ago. Icelandair will operate four round-trips a week to Canada’s second largest city from May 19 through November 8, 2016, the carrier offering departures from Montréal on Mondays, Tuesdays, Thursdays and Saturdays. The five-hour, non-stop flight to Icelandair’s hub at Keflavik International Airport, which serves Iceland’s capital Reykjavik, also provides connections to 26 destinations in Europe. These include Paris, London (Icelandair serves two airports there), Copenhagen, Stockholm and Oslo. Following the signing of the 2007 open skies agreement between Iceland and Canada, Icelandair has continued to develop service from Canada. 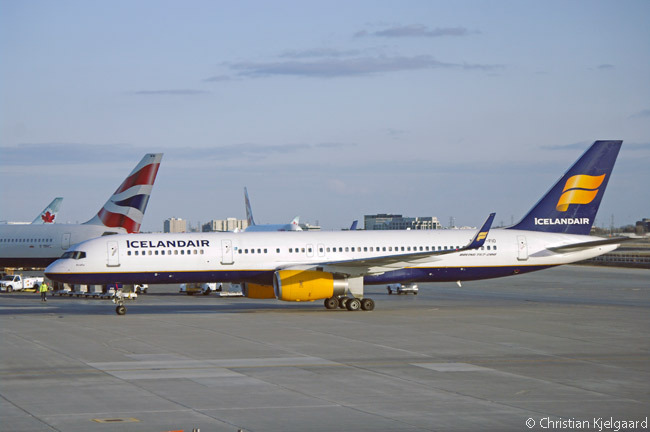 After beginning service to Halifax in 1998, Icelandair began serving Toronto in 2008, and Edmonton and Vancouver in 2014. “Montréal will be our fifth Canadian gateway, opening the skies to Europe from Canada’s second largest city,” says Birkir Holm Gudnason, Icelandair’s CEO. “The addition of Montréal will give Canadians coast to coast more options in travel from Canada and provide both the business and leisure traveler a refreshing alternative when traveling to Iceland and beyond,” adds Gudnason. Having begun operations in 1937, Icelandair has a long history of providing flights from North America to Europe. Since its inception, Icelandair has continued to grow as an airline. 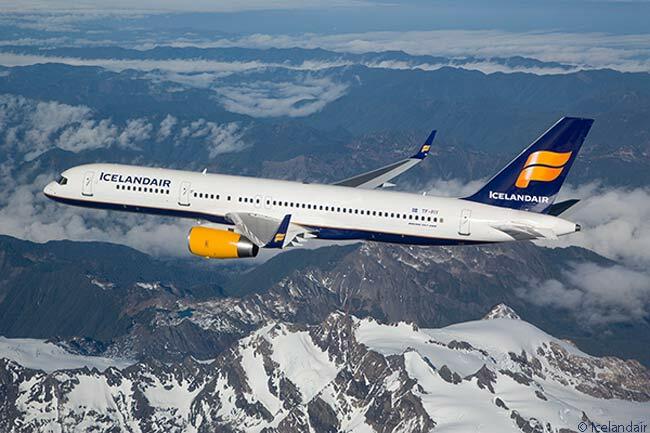 Icelandair now operates a passenger fleet of 23 Boeing 757-200s and one 757-300 and has agreed to lease two Boeing 767-300ERs from this spring, from lessor GECAS. The carrier also operates two Boeing 757 freighters. In addition, Icelandair has nine Boeing 737 MAX 8s and seven 737 MAX 9s on order, some of which will replace older Boeing 757s now in its fleet. It now offers fleet-wide onboard Wi-Fi access, personal in-flight entertainment, three cabins of service and includes two checked bags in the price of each fare. “The arrival of Icelandair marks yet another significant milestone for Aéroports de Montréal (ADM) and Montréal,” says James Cherry, president and chief executive officer of ADM.
“Not only will our passengers now have non-stop access to Iceland, but they will also be able to quickly connect to Scandinavian cities like Copenhagen and Stockholm,” adds Cherry. This year Icelandair will offers year-round service to Iceland from Boston, Chicago O’Hare, Denver, Edmonton, New York JFK, Newark, Seattle, Toronto, and Washington Dulles. By 2016, Icelandair will also be offering seasonal service from Anchorage, Halifax, Minneapolis-St. Paul, Montréal, Orlando, Portland in Oregon, and Vancouver. Only Icelandair allows passengers to take a stopover in Iceland for up to seven nights for no additional fare. 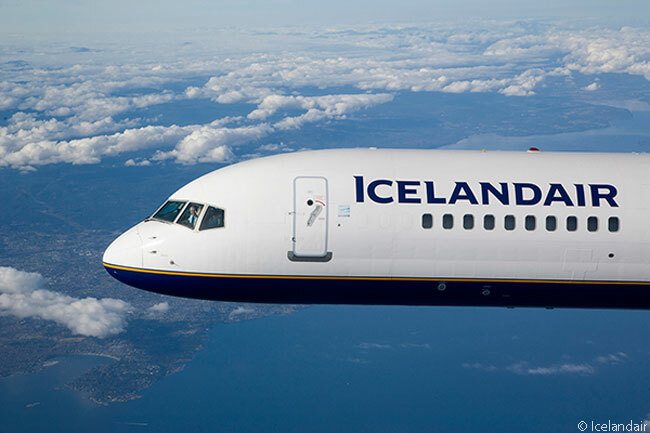 For additional information about Icelandair’s fares to Iceland & beyond, visit www.icelandair.com or call (877) I-FLY-ICE.